Jumbo mortgages are loans that exceed the conventional mortgage limits set by Fannie Mae and Freddie Mac for financing of one to four family residences. Mortgage financing is not a one size fits all. Multiple lenders offer various programs based on lending policies and guidelines that are based on risk management philosophy. The broad lending guidelines for conventional and government loans are established by Fannie Mae, Freddie Mac and HUD (FHA loans). These guidelines are either liberally or conservatively applied by lenders or somewhere in between. The ability to get approved for a mortgage therefore depends on the lending guidelines adopted by a particular lender that may or may not follow the broad guidelines set by Fannie Mae, Freddie Mac or FHA. A conservative lender may have guidelines that are more stringent and include overlays with tighter risk standards that makes it more difficult to qualify. A more liberal lender may use the broad guidelines as written with no overlays which will be more favorable for borrowers. For example a conservative lender may require a higher debt to income ratio than a more liberal lender, or a more liberal lender may require lower credit scores for qualification. The ability to access multiple lenders provides greater options and product flexibility that vastly enhances the ability of a borrower to qualify for a mortgage. Not only is multiple lenders and programs critical for mortgage approval but also to obtain the best possible terms for a mortgage. Interest rates vary widely among lenders. The very large banks and other conspicuous mortgage companies spend millions to convey an image that they maintain the very best interest rates. However there are many smaller and more nimble mortgage lenders with a business model that does not include expensive overheads such as large brick and mortar structures and millions staff related and advertising expenses. As a result of a lower cost structure they are able to price more aggressively and therefore offer better interest rates to consumers. Since borrowers may not be aware of the range of rates among lenders in the market and that some lenders with the most competitive interest rates may not be very visible, it is critical to deal with a company that can shop to determine the best interest rates. This is another critical reason to do business with American Mortgage Group. Finally many borrowers seeking a mortgage make an application with a lender over the phone or online. Initially they will deal with a loan originator but after the initial qualification they are handed off to back office personnel and just become a number in a very large pool of mortgages. A mortgage transaction can be a very complicated process. The consumer needs expert guidance and advice and a personalized relationship built on mutual trust that does not end at closing but survives indefinitely into the future. American Mortgage Group is founded based on these values where the client relationship is the bedrock of our business and we combine this with comprehensive industry knowledge, efficient business process execution and compelling partnerships with stakeholders to deliver fast closings and tremendous customer satisfaction. A trusted leader in mortgage solutions. Our talented team is second to none in the mortgage industry, with years of professional expertise. American Mortgage Group is licensed by the Florida Office of Financial Regulation (FLOFR). 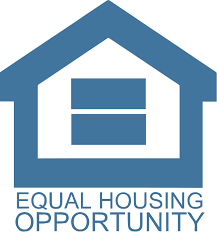 Only mortgage solicitation activities or loan applications for properties located in the state of Florida can be facilitated through this site.